North Korean leader Kim Jong-un has often been pictured with a cigarette in his hand – be it while riding a subway train, or even while inspecting missiles. In 2012, the supreme leader was also seen smoking at a sporting event while he accompanied his pregnant wife Ri Sol Ju. North Korea's supreme leader, Kim Jong-un, who known to be a chain-smoker, had reportedly refrained from lighting up cigarettes while attending the historic Inter-Korean summit. 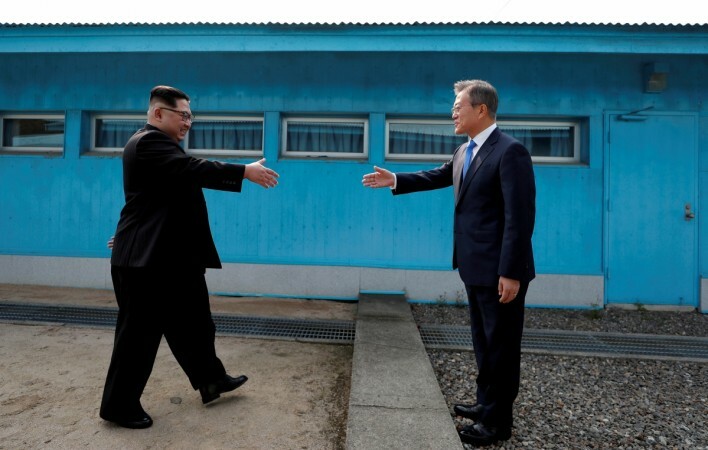 Jong-un and South Korean president Moon Jae-in attended the summit that took place on April 27 at the truce village of Panmunjom inside the demilitarized zone separating the two nations. The North Korean leader had, however, not smoked a single cigarette during the summit. 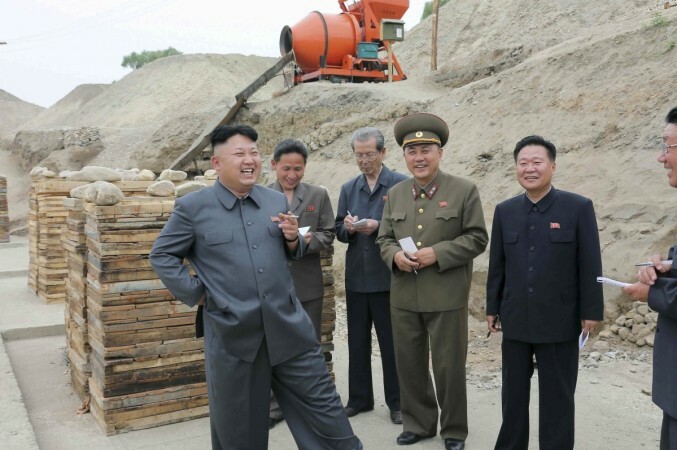 "Chairman Kim did not smoke even when there were no prying eyes from journalists and photographers around him. This was probably a gesture of respect towards President Moon who is much older than him," a close aide of Jae-in was quoted as saying by AFP. Jong-un has often been pictured with a cigarette in his hand – be it while riding a subway train, or even while inspecting missiles, the news agency reported. In 2012, the world leader was also seen smoking at a sporting event while he accompanied his pregnant wife Ri Sol Ju. The 34-year-old leader was also provided ashtrays at various spots during the summit by the South Korean officials. Not once did Jong-un make use of it as he abstained from smoking throughout the summit. "Although I heard Chairman Kim was a heavy smoker, it appeared he refrained from public smoking after considering the symbolism of the inter-Korean summit," a South Korean official also confirmed to a local news outlet called Donga-Ilbo. Jong-un, however, drank his heart out and gracefully accepted every drink that came his way. "When South Koreans approached him with a drink, he stood up from his seat, let them pour for him and drained it all in one shot. He never turned it down, whoever came," according to a participant at the summit. He had even reportedly gulped down a traditional Korean liquor called "munbae-ju" which supposedly contains 40 percent alcohol. During the summit, Jong-un's gesture was appreciated by the South Korean president who called him "well-mannered, straight-forward and candid," AFP reported.